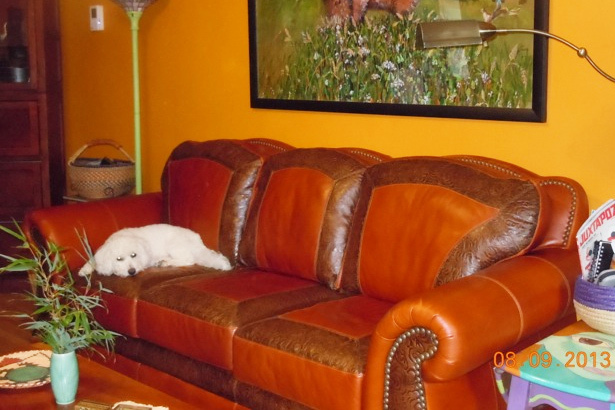 "I just wanted to let you know I received my sofa and it is just what I expected. The delivery service was fantastic, very personable, and everything was on schedule. Thank you so much for insuring that my timeline was met. I will keep your info in my file for any future furniture I may purchase. Thanks again." - Jill S. - Ft.Pierce, FL. "Just a quick note to thank you for the wonderful service you've show me during and after the sale. Without doing business with you before there was a bit of trepidation on our parts as you can understand. However, you came through as promised. The sleeper was delivered to our home on Saturday while my wife and I were away. (Our son-in-law took delivery) It could not have been made much easier. Thank you very much for your assistance. I assure you, we will be recommending your fine company to all of our friends who want a trouble-free shopping experience at a great savings." "Hello Teresa, Thank you for your excellent assistance and service. If you are the boss, the service standard you set is excellent. If you have a boss, please share with them as I want them also to know how much I enjoyed my experience shopping with you.."
"Scott, Just wanted to say thanks again, we received our furniture on Wednesday and LOVE, LOVE, LOVE it! It is like it was custom made for our room. You were a pleasure to deal with and really worked with us. It is not always so easy to order something like this when you are not face to face! We will definitely recommend you to anyone who is looking for great service in furniture! Thank you again." "Hi Beth, It looks fantastic. We love the colors and contrast in the leathers. It fits perfectly in the room. Very comfortable. Our dog thinks its his!" - Debbie and Steve H.
"Hi Scott, Just letting you know the furniture was delivered today. Everything looks fabulous and they did a wonderful job on delivery. Couldn't be happier! Thanks."